If you have been told that cataract surgery is in the near future, there is a new technology in intraocular lenses, or IOL, to consider. The newest IOL in the United States are assisting vision issues at varying distances following cataract surgery. Most cataract surgeries replace the patient’s lens with a monovision lens, correcting mostly distance vision. This dynamic lens is following the revolution of allowing patients to maintain an active lifestyle without the constant hassle of glasses wear. 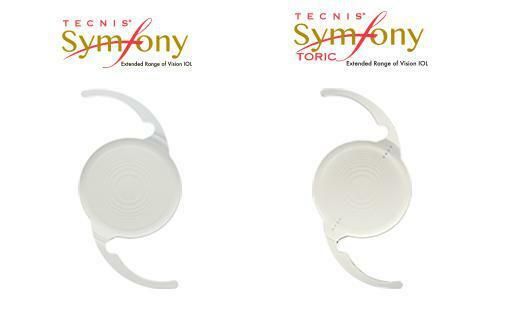 Tecnis's Symfony IOL offers an increase in visual acuity at distance, but also with the near and intermediate ranges. This is an exceptional innovation for patients with presbyopia, the lose in the ability to focus at near object (usually occurs in the 4th decade of life). If you have an astigmatism, there are options for toric IOL implants as well. Symfony IOL strives to provide patients with more youthful vision. Another benefit of the Symfony IOL includes significant reduction in the incidence of halos and glare compared to monovision IOL. If your doctor has suggested cataract surgery, this may be an option for you. Schedule an appointment at Beverly Hills Optometry (www.bheyeguy.com) today to further inquire.